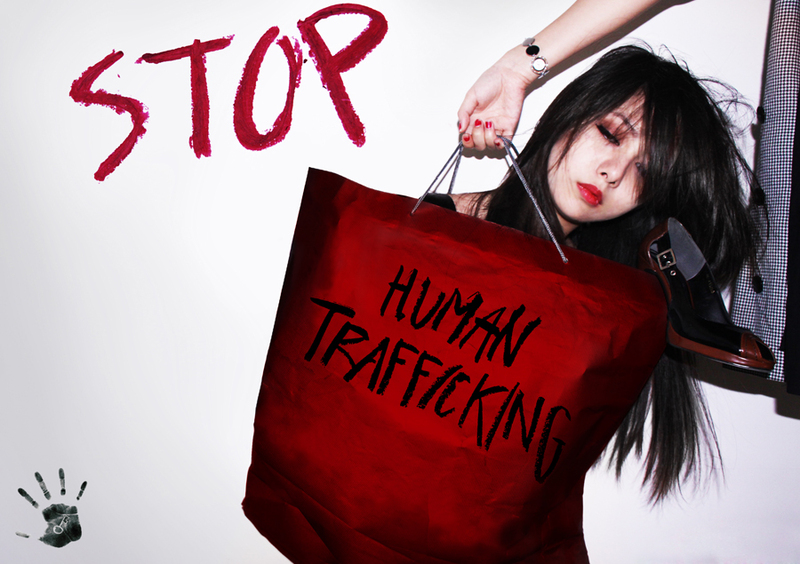 For a long time I responded with “fight human trafficking”. My entire privileged North-American life has been quite sheltered to say the least. Yes, I’ve lived in a town no greater than 400 people or less since I was born, and have yet to watch the classic Disney movies (don’t judge me, I can’t control my upbringing) but I don’t mean that kind of sheltered. I mean sheltered from the naked realities of the world. But it’s easy to think that it’s a world away, thus we remain sheltered. This past weekend I heard about a woman who spent time with trafficked victims of Cambodia. The woman giving an account of the international volunteer said she came back “just… broken”. A typical response to my “fight human trafficking” is a serious “wow, that’s heavy” or “it takes a special type of person to do that”. What does “special type” mean? Strong? Selfless? Indestructible? I don’t know that I am any of those, but I do know that nothing can make me [cry, scream, angry, want to change the world, turn into a monster etc.] exercise my passion for justice more than hearing the realities of human trafficking. What if I come back broken? Maybe that is just what my sheltered little mind needs. It is in the break that healing can make someone stronger. I am not trying to be self-destructive, but we are all equal, all part of the 100% and my remaining sheltered does not benefit any part of the 100%. This Friday is the International Development Conference on the topic of human trafficking. I will likely cry, I will definitely try not to, but I hope to become even slightly less sheltered from the everyday lives of my fellow 100%ers. Do you use a filter of any sort to ensure you are getting the purest taste of hydration? It is a science that has been used in Japan for thousands of years. 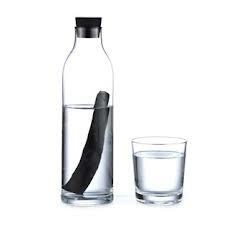 Kishu is a piece of charcoal, essentially, that purifies your water. A piece of wood is slowly heated in a kiln extracting the oxygen until is becomes carbonized. Once placed in water the carbon immediately bonds with the toxins typically found in tap water while releasing beneficial minerals like magnesium and calcium. It effectively reduces harmful minerals such as lead, mercury, copper and cadmium as well as chlorine. Because the toxins and carbon bond at the molecular level, you do not need to worry about the toxins being released into the water a second time. Maintenance requires boiling the stick for ten minutes once a month to keep its pores open. It comes in three different sizes appropriate for water bottles, pitchers and 3-5 gallon jugs. The filtering life of a stick is four months. After which it can be used to absorb offensive smells in your refrigerator, absorb water at the bottom of a flowerpot or in your garden soil. The charcoal does not decompose, but unlike many plastic filters, it is not environmentally harmful nor is its packaging. Prices start at $9.00 and if you buy one before Valentines Day using the “Kiss You Kishu” promo code you get 25% off! I think this is a great natural way to purify the processed water of developing countries. It does not address the issue of pathogen-infested waters that cause water-borne illnesses prevalent in developing countries, however. Maybe the Kishu charcoal stick is the prelude to a solution for that. Would you use the Kishu charcoal stick? This past weekend was the Super Bowl. My apathy towards football may present a bias, but the first thing that comes to my mind when I hear the words Super Bowl is “how can you justify spending $133 000 per second of advertising when this is happening just a plane ticket away?” The event has been know to raise heart rates, sometimes to the point of cardiac arrest (not just because of all those wings and beer) and the advertisements usually upstage the game itself. The Super Bowl holds a colossal audience every year. This means a great potential to influence. Instead of mindless ads and feeding a society that just craves entertainment, what if it would be used as a platform to raise awareness on issues that are worth the passion that is already within each Super Bowl fan? As Martin Luther King Jr. believed “injustice anywhere is a threat to justice everywhere”. What do you think? Is my hopeless idealist showing a little too much?